No milk to keep hunger pains at bay. 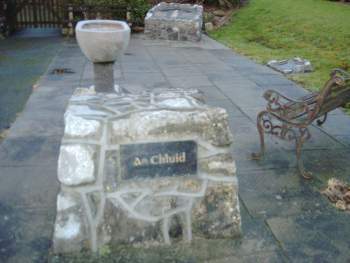 Official opening of Famine Memorial Garden at Arden Road, Tullamore was on Monday the 19th February. The Offaly Famine Commemoration Committee opened officially to the public a Memorial Garden dedicated to the memory of those who died locally during the terrible famine of the nineteenth century, particularly the blackest year of 1847 â one hundred and sixty years ago. 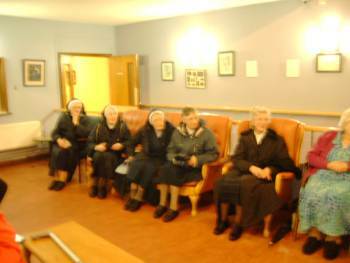 The Memorial is located on the site of the old Tullamore Workhouse where so many starving and destitute were forced to seek refuge during that nightmare period. It is tastefully designed with the assistance of the architects who designed and supervised the construction of the extension to Riada House. 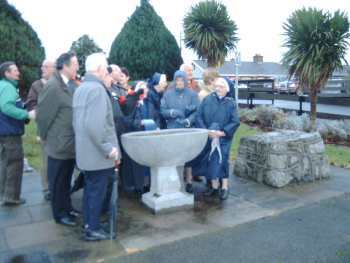 Centrepiece is the Baptismal font retrieved from the workhouse chapel at the time of demolition. Carved from a single piece of local limestone, induces visions of the many babies receiving the water of Baptism and whose life span was decided by the prevailing hunger. The Commemorative scripts are cast in metal and reflect not only the horrors of famines of the past but also those famines that are still parts of the world even today.